Click here to reach the full information page and apply direct. 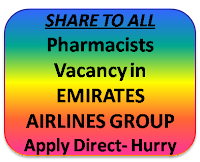 Qualified Pharmacy Graduate which is certified by the Ministry of Foreign Affairs Dubai. 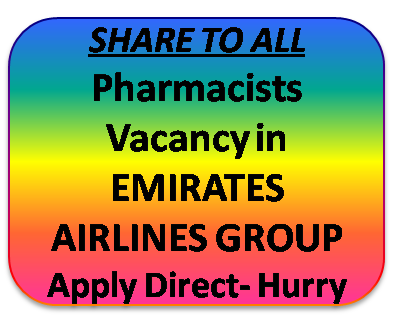 Must hold a License validated by the UAE Department of Health to practice as a Pharmacist. 5 years Post graduate experience in a hospital or community Pharmacy.